All of the instruments in NASA’s forthcoming suite of small satellites are small, but none quite so small as RAVAN. An acronym for the Radiometer Assessment using Vertically Aligned Nanotubes, the spacecraft is slated for launch on its six-month mission later this month. It’s about the size of a loaf of bread. RAVAN may be small, but it is mighty. It’s a fully functional satellite with solar panels, two radios, and onboard computer — the works. It has four radiometers that look down and measure light energy coming from the Earth, both during the day and during the night, all to help fight climate change. During a press conference Monday, NASA officials explained the technology and emphasized the project’s potential to prove the efficacy of small, cheap satellites. RAVAN will help us measure the Earth's energy output, crucial data for fighting global warming. But how much energy, exactly? That’s what we still don’t know, and that’s what the RAVAN project will seek to answer. It turns out that we’re quite good at quantifying incoming solar energy, but we’re still not so good at measuring the Earth’s own outgoing energy. There’s an increasing imbalance between the two — small, but crucial — that means the energy and average temperature of our planet are increasing. That’s all currently being measured by larger spacecraft in lower orbit, but that approach is limited in the data it can collect. When RAVAN launches, it will be demonstrating new, less-expensive technology that can more effectively measure how much our atmosphere’s “blanket” is really trapping excess heat. 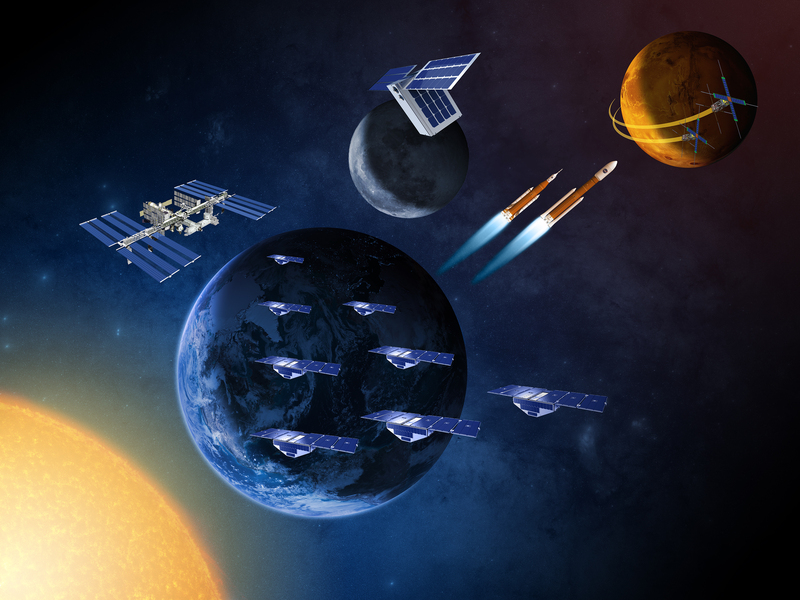 Small spacecraft and satellites are helping NASA advance scientific and human exploration, reduce the cost of new space missions, and expand access to space. RAVAN is a CubeSat mission, a NASA initiative to advance small-satellite technology. While microsatellites aren’t useful for every NASA objective, they have the advantage of being cheaper, easier to manage, and in some cases more precise. They’re also handy as proof-of-concept components, demoing new projects and new means of data assessment, and they can also be used in conjunction, with one another, configured in small swarms known as constellations. “We’re actively promoting the small spacecraft approach as a paradigm shift for NASA and the broader spacecraft community,” said Ellen Stofan, chief scientist at NASA Headquarters in Washington, during the panel.